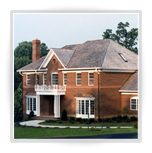 I have built some of the finest homes and additions in Northern Virginia. Please review my portfolio and begin planning your new home or addition with Homes By Murphy, Inc. 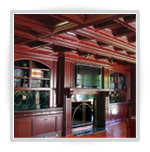 Custom libraries, millwork, kitchens, baths, recreation rooms, master bedroom suites and much more. Homes By Murphy, Inc. oversees that every aspect of the creation of your new addition is given the utmost attention to detail all the way through to the completion if your project. Finest design, materials and craftmanship to make your dream bath or kitchen come true. We will deliver the highest quality design, detail and craftmanship for your next renovation. Architectural quality design homes, detail and craftmanship are part of our reputation of building the finest homes in Northern Virginia for over 35 years. We do any type of design including additions from 1–2 stories for that extra space you need. We have a complete design/build and interior decorating services available. 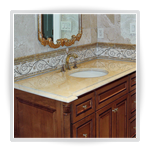 Either renovate existing bath, kitchen or a completely new project including all finishes, cabinets, vanities, tile, marble, granite counter tops, flooring, etc. Highest design and decorating services available. Complete design/build services with the finest quality materials and craftsmanship at very competitive prices. 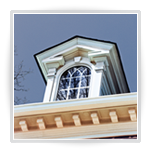 Award winning builder both for design and quality in the Northern Virginia area for over 35 years. © 2011, Custom Homes & Renovations by Murphy. All rights reserved. "Award winning General Contractor with complete design/build and decorating services available to all our clients."